As a part of its endeavor to create a transparent, competitive and inclusive environment for public procurement in India, MAIT has taken-up the mandate to collaborate with various Ministries, Departments and Agencies of the Government and to organize workshops and focus group discussions wherein industry representatives can interact with government officials and deliberate upon various aspects of public procurement. One such initiative that MAIT has embarked upon is the series of regional workshops that are being currently organized in the country to spread awareness on Model RFPs that had been promulgated by Department of Electronics and Information Technology (DeitY) in 2011. As a part of these regional workshops, Manufacturers Association for Information Technology (MAIT) today organized a workshop in Kolkata on Model RFPs in association with DeitY, and Accenture being the knowledge partner. Policy experts, Industry bodies and state IT decision makers from eastern India gathered together to share their experiences on the implementation of e-governance projects. Inaugurating the workshop, Satish Chandra Tewary, Principal Secretary – IT&E, Govt. of West Bengal said, “I would like to thank DIT, Government of India and MAIT for organizing this regional workshop and for creating the opportunity to deliberate upon the best usage of IT to transform e-governance through streamlining of procurement process.” He announced that the Government of West Bengal intends to accelerate the proliferation of IT and ITeS adoption in the state and has set up Hardware Parks, Electronics Manufacturing Clusters to expedite the same. Tewary further suggested that given the dynamism of IT products and services, this discussion on Model RFPs and public procurement comes at an opportune time. He asserted that “some challenges being faced by the states in execution of e-Governance projects such as budgeting issues, neutrality of specifications, among others can be addressed and mitigated at the stage of formulating the RFP itself”. These Model RFP toolkits are completely in sync with the recently-announced Public Procurement Bill 2012 and they can address substantial amount of risks that are typically associated with bidding and undertaking ICT projects in Govt. Sector. Emphasizing on the compliance to model RFPs Ankur Malhotra, Vice President, Public Policy, Accenture, said, “Critical assessment of various e-Governance Projects since the initiation of NeGP shows that issues like time & cost overruns, unmitigated disputes, poor quality of execution, etc. which are being faced across board can be mitigated or could be planned for at the procurement stage itself. ” He also stressed that “Streamlining the entire set of processes related to tendering would lead to more successful execution of IT Services & Infrastructure projects in Government Sector, and this is where instruments like Model RFPs become all the more important”. This was an important event for State IT decision makers from eastern India and industry captains as it served as a platform to interact on ways of strengthening IT procurement processes and highlight the issues being faced by them in implementing e-Governance projects over the last few years. Representatives from states like West Bengal, Assam, Orissa, Sikkim, among others participated in the discussion and addressed the issues & challenges for e-Governance projects. Mahindra Comviva, the global leader in providing mobility solutions and Ovum Consulting, today released a research study on Digital Music Market. The study encapsulates future trends on the uptake of digital music in terms of adoption rates; devices used to consume music services and segregation of listeners and suggested target approach. The research study reveals that digital music market grew by around 9% in 2012 and is expected to grow $9 billion worldwide in 2014. Strong growth is driven by the expansion of international and regional music brands as well as active smartphone growth in South East Asia, India and Africa, all topping 20% CAGR. 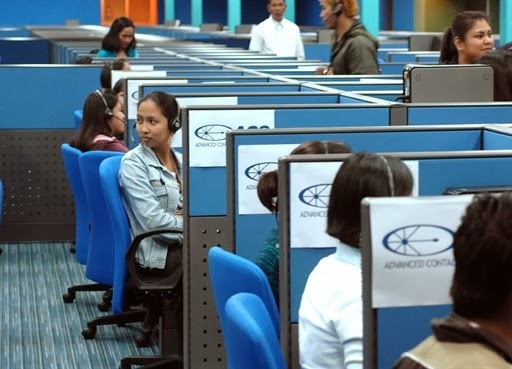 It predicts that Asia-Pacific emerging markets are expected to approach $450 million and Latin America top $200 million in trade value in 2014. 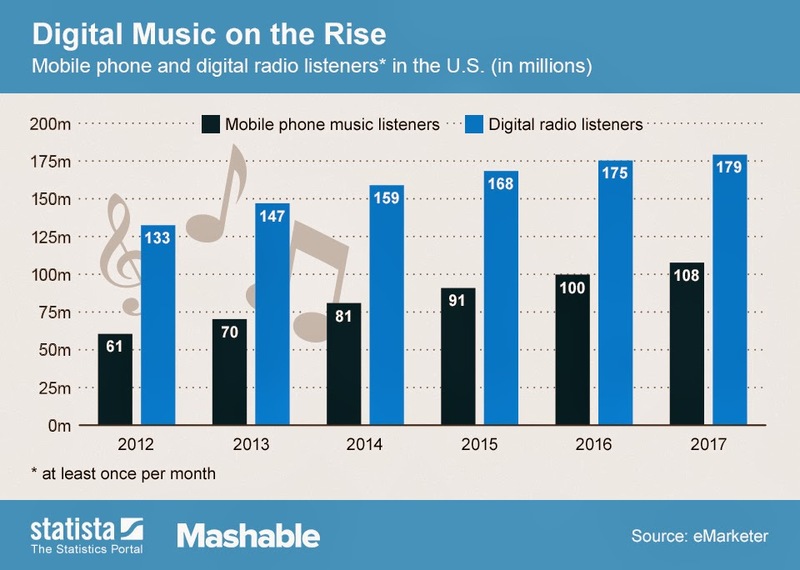 Across the nine markets surveyed (both emerging and developed), the share of devices used for listening, purchasing or downloading music has changed dramatically in 2013, as compared to 2010. Computer share has dropped significantly by 14% points with mobile and tablets together up 15% points, emphasizing the importance of mobile for reaching lean-back listeners. Segregating the group of digital music consumers into lean-back and lean-forward listeners, the study suggests that there is a huge opportunity for operators when it comes to offering personalized music packages and targeted music services that will help reduce churn, drive subscription and increase revenues. SAP has announced a donation of technology and integration support to community partner HOPE Foundation India. SAP Business One will enable more efficient management of its existing business management software systems, helping HOPE to run better and serve more citizens in need across India. This collaboration comes as a further commitment to SAP’s longstanding partnership with HOPE Foundation across education programmes and disaster relief since 2000. In addition, the solution will be extended to enable HOPE to maintain a single source of information to effectively manage information on donors and participants in the various programs that HOPE manages. In stage 1 of the project, HOPE Foundation will utilize the core financial functionality of the SAP Business One solution to enable them to have greater visibility in to their source and application of funding as well as streamlining their regular reporting. The Foundation will be able to better automate day-to-day processes, analyse socio-economic data, better manage donor database, community programmes, financials and provide transparency to its stakeholders. Powered by SAPs in-memory computing platform, SAP HANA, SAP Business One will empower HOPE Foundation to analyze larger volumes of data in real-time to help the governing board of HOPE examine the financial health and effectiveness of its outreach programs. SAP has donated INR 3,567,500 (€ 50,000) to HOPE Foundation for integrating SAP Business One technology to help the foundation. SAP will also provide customization and training, generating benefits to volunteers, beneficiaries, partners and employees. HOPE Foundation has been a philanthropy partner of SAP India since 2000, beginning with volunteer education and computer literacy programmes for underprivileged children and youth, as well as disaster relief in Gujarat, Tamil Nadu and, most recently, Uttarakhand. In September 2013, as part of SAP’s Project Lakshya initiative and on-going flood rehabilitation in Uttarakhand, SAP and HOPE Foundation have refurbished college science laboratory in Thatyur and opened a skills development centre, “SAP Centre of HOPE” Computer Training Centre, to serve hundreds of children, youth, women and villagers in the affected area. SAP’s collaborations with HOPE Foundation in India and Indonesia is one of the flagship corporate social responsibility partnerships of SAP Asia Pacific Japan, part of the company’s regional and global CSR commitment to entrepreneurship, education and technology donations. Nascor Technologies, an IT products start-up, has announced the launch of tZirr, a revolutionary email management tool, which enables working individuals to manage their inbox effectively, including attachments, prioritizing mails, sending effective responses and in the process facilitating better email etiquette. This productive utility is aimed at Microsoft Outlook users on Windows OS. It drastically reduces the time spent on identifying actionable mails, dig attachments, store and tag notes, thus enhancing productivity. It has been found that an individual habituated to emails, gets distracted visiting the email Inbox at least 50 times a day. A poll conducted by McKinsey Global Institute revealed that 28% of the time spent by employees is wasted sorting, receiving, sending emails. Also, in one of the Harvard Business Review blog threads titled 'Email Is Not Free', it was estimated that “each individual email ate up 95 cents of labour costs”. “tZirr performs helpful functions, which otherwise requires human intervention with valuable time to be spent. 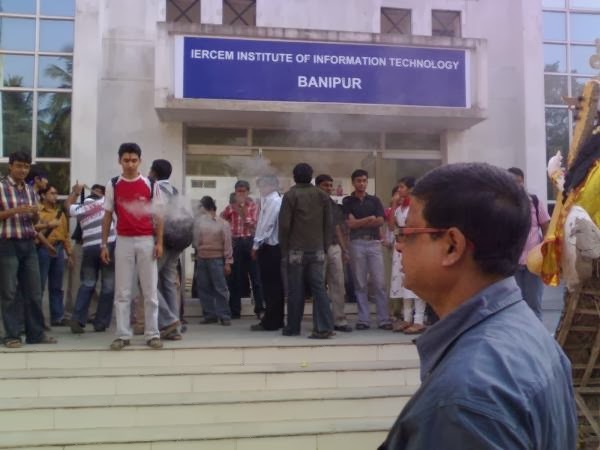 The time thus saved can be directed to focus on core emailing activities like reading and responding to mails to achieve Inbox zero,” Iyengar said. • Categorize Mails - A feature prioritizing emails in your Inbox by automatically color coding based on whether you are marked in 'TO' or 'CC' field. By coloring each category type, one does not have to spend time opening each email, decide on mail priority and organize them. • Pen Thoughts - Tag personal sticky notes to an email, thus aid drafting careful responses, pen a check list, add comments, etc. With 'Thoughts Explorer', one can get a listing of all the Thoughts tagged to mails. • Attachment Explorer - Easily access email attachments buried deep inside mails. From the Explorer view, navigate to mails, list, filter, group based on the attachment type, name, sender, subject, date, etc. • Bundle Mails - Selectively pack a set of mails to a single PST file; makes it very handy to be sent to anyone, personally store / archive, bundle, file offline in the way you want and even reduce Inbox size. • Reply All Alert - With this configurable feature, every time you press 'Reply All', a prompt makes you stop & think whether you really want to 'Reply to All'. Drastically reduce mail traffic & better etiquette. According to Bharadwaj, there is tremendous scope for using such productivity tools for working individuals, who send or receive more than 50 mails in a day. “For now, tZirr supports all the languages supported by MS Outlook supports. 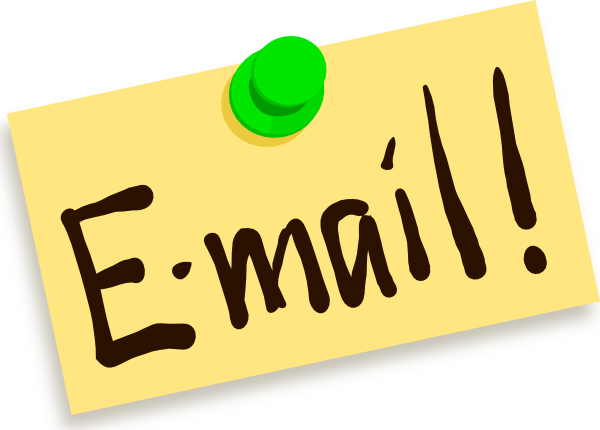 Going forward, we have a lot of features envisaged and make them available on Mac OS and other mail clients such as Zimbra, Thunderbird and for smartphones/devices (Apple & Samsung) and other web mail clients (like Gmail & Yahoo! ),” he noted. tZirr is a home-grown product available for the international market. “Today when people are moving towards paperless office, email has become the best alternative to formal communication. Any email user has some pain points and also wants some key functions to be performed by mail clients without the need for human intervention. tZirr is an attempt in this direction to address simple needs of any mail user and our road map has lot more to offer,” Iyengar and Bharadwaj pointed out. 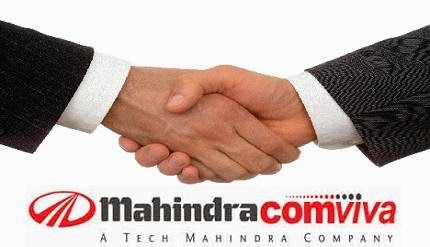 Mahindra Comviva, the global leader in providing mobility solutions has announced the launch of La Vida, a unique mobile application that will redefine convenience and entertainment, at MWC 2014. La Vida is a queue buster and entertainment app that will allow over 72,000 MWC attendees to order and pay for food and beverages of their choice, via their mobile phones. The La Vida app is preloaded with menu and price details of the eateries which Mahindra Comviva has partnered with at the MWC. The customers will receive an alert once their order is ready for collection. As a one stop shop solution, La Vida also offers access to music tracks which consumers can listen and download via the app. At the Mahindra Comviva booth Hall 5, Stand 5G51 visitors can play around with a novel way of discovering content by simply using their phone camera and scanning the posters of singers. Reflecting the true MWC spirit, La Vida’s “Capture Contest” adds a lighter moment in the hustle-bustle of the event. 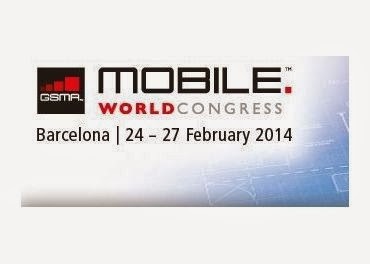 Users can win some exciting prizes daily by capturing their favorite MWC moment and garnering the most ‘likes’. PASS Technologies, one of the Europe's most dominant on-demand software testing service provider, continues to expand its activities in the global markets. After making a successful entry into India in 2013, the Swiss company has opened up a new delivery centre in Bangalore to further strengthen its regional presence. Headquartered in Zurich, Switzerland, PASS Technologies runs strategically located development and delivery centers in Zurich, Belgrade, Bangalore and Mumbai as well as sales offices in Boston, Los Angeles, Berlin and Frankfurt. 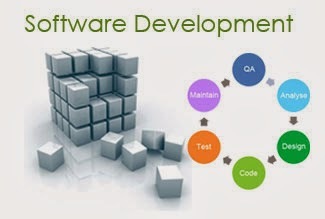 With over 20 years of experience in software and system testing industry, PASS offers most suitable testing solutions to its customers with a combination of onsite, off-shore and crowdsourced delivery models. “What specifically sets us apart from other on-demand/crowdsourced testing firms is that our model is based on high quality and professionalized testing. We have developed a global community of professional software testers and end-users from over 100 countries, a leading-edge crowdtesting platform (www.passbrains.com) and best practices to deliver “managed crowdtesting services”. 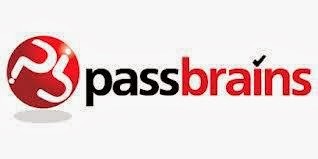 Under the ‘passbrains’ brand, PASS delivers “better, faster, cheaper” testing to enterprises in diverse industries, including Fortune 100 companies globally. PASS has established a leadership position in the on-demand software testing market though the mature, robust and scalable passbrains crowdtesting platform, which has over 3 years of key technology development under its belt,”, says Dieter Speidel, Global CEO of PASS Group”. PASS also offers enterprises and channel partners to use the passbrains platform in self-service mode or to license a white labeled version of the crowdtesting platform. The passbrains platform and testers community provides instant access to the skills of thousands of qualified testing professionals worldwide, allowing for on-demand testing of web, mobile and enterprise applications, across multiple devices, configurations, language and locations. Crowdsourced testing has proven to be a fast growing, disruptive delivery model and a new key element for improved quality assurance strategies in today’s Enterprise IT landscape. “Our further expansion in India helps us leverage the local talent pool and also expand our global outreach. It greatly enhances our delivery capabilities by giving us strong presence, also in Asia to better serve our clients in the region. Bangalore is an ideal location to support the rapid growth of our global delivery center for crowdtesting; several projects for global enterprises are already managed from our location today” concludes Mayank Mittal, Director and Country Head, Pass India.